On the November 2012 ballot was Proposition 37, which would have required foods containing genetically modified ingredients (GMOs) to be labelled. The proposition did not pass, falling by a vote of 53% No and 47% Yes. John Lawrence wrote about Prop 37 in the lead up to the election with some good thoughts and information you can check out here and here. The battle over Prop 37 drew a lot of national attention, and dollars in support and opposition poured in from all over the country. According to Ballotpedia.org, the final financial tally was $8.7 million supporting and $45.6 million opposing. The largest contributors to the opposition were Monsanto ($8 million) and DuPont ($5.4 million) followed by PepsiCo, the Grocery Manufacturers Association, Dow, Bayer, and a host of other primarily corporate entities. Spearheading the funding for the supporting side was Organic Consumers Fund ($1.3 million), Mercola Health Resources ($1.1 million) and Kent Whealy ($1 million). It’s difficult for any proposition to overcome long odds in the money race, but not impossible. Perhaps in the next election cycle Prop 37 will be on the ballot again in California or in another state. Consider my fingers crossed. In the meantime people still have to eat, and as the growing market for organic foods continues to grow it’s clear that at least a portion of the population desires to know more about their food and/or make healthier choices for their bodies and their planet. If you fit this description and would like to avoid GMOs in your food, here are a few suggestions for your future shopping trips. 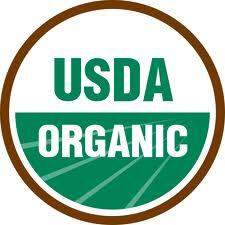 Per the USDA organic certification regulations, any product that carries the USDA organic seal can not contain GMOs. In addition to avoiding GMOs, you will be helping to support agriculture that does not use pesticides or herbicides and espouses other sustainable farming practices. Read and learn more about agriculture, the environment, etc. The New York Times Green blog is a great source of information, as is the Environment section from Mother Jones. This being the Internet age, I’m sure in the time it has taken me to write this there are numerous new bloggers, tweeters, etc. out there with great insights too. Bottom line – be informed and always keep learning. In addition to being fun and educational, growing your own food ensures you know what went into it while it was growing. Choose organic seeds (look for the organic seal) to be sure the seeds aren’t GMO or otherwise altered. I like to call local organic farming Organic+. Not only are the farming methods sustainable and better for the earth, purchases from local farmers help to support your local economy and often reduce transportation and packaging environmental impacts. Additionally, you have the chance to connect with others in your community, helping to strengthen the farming and food communities in your area. A CSA is a box of produce from a farm that can be purchased on a regular basis, usually weekly. The predictable income stream helps farmers to better forecast and plan their crops, and your purchases help to keep fresh, seasonal, local produce on your table. In San Diego County there are many CSA programs including those from Wild Willow Farm, Be Wise Ranch, Suzie’s Farm, JR Organics, and more that can be found on this page. I hope this information is helpful to you. Remember that voting doesn’t just occur at ballot box or during election years. Every purchase you make is your vote on the type of agriculture you support and dollars in the coffers of the companies or farmers that produce it. John was an accountant in a former life and now devotes his time to child-rearing, reading, writing, and working to ensure that San Diego is truly America’s Finest City. Interested specifically in environmental issues, John is always interested in learning more and connecting with others that want to improve the health of our world and community. You can find John on Twitter (@walkingmisseva) or feel free to email him at john.patrick.anderson@gmail.com. Comments, suggestions, wisdom, and complaints are enthusiastically welcomed. In just four CA counties, 1.6 million votes remained uncounted two days after the election – three times as many votes needed to pass prop 37! Yet the PROJECTIONS said that Prop 37 failed, and that was taken as gospel. What is the use of having elections if the votes aren’t counted? This seems like a travesty, and I must wonder why this has not been reported, and why a complete count has not been done. It has been said that it’s who counts the votes that matters in an election – as we found with Bush/Dole in Florida. But not to count them at all??? Mlou – I might misunderstand the vote counting process in California, but I believe all of the votes have now been counted and Proposition 37 lost by 585,464 votes. I agree with you on making a definitive call before all votes have been counted but at this point I think it’s safe to say that the tally is correct. How can we rule prop 37 defeated when the total number of uncounted ballots as of 11-9-12 is over 3.3 million votes!! If you look at the results they state that they are “unofficial results”. It sort of makes sense to me that we should at least wait until it’s officially tabulated as we only have 573,079 votes separating the yes & no vote… 5,218,956 (Yes) and 4,645,877 (No). There were 18,245,970 registered voters in California of which (as of 11-9-12) 10,340,828 ballots were cast (counted) and from this 9,864,833 voters cast a vote on Prop 37 (not everyone votes on all the issues). Since there are currently 3,334,495 uncounted ballots… which is over a third as many as the counted ballots… it appears logical to assume that the vote for prop 37 could still go either way? Check it out for yourself… the following is a link to the California Secretary of State website showing the totals by county. http://vote.sos.ca.gov – this link will take you to the main page. D T – thanks for the direction to the correct site and apologies I didn’t know the correct site previously. I agree that it makes sense to wait to make the call until all votes are counted but as with nearly every major race, there are statisticians, political analysts, etc. that follow the trends and exit polls to predict the eventual winner. As of 11/13 there are 2,304,250 ballots outstanding per the site noted above. When these are counted if the outcome of any race was incorrectly predicted / called the correct winner would be named. Janice – thanks for sharing. I’m not familiar with this book but will put it on my list for future reading. Since the California legislature now has a super-majority of Democrats can this labeling be done via that body and bypass the ballot initiative process? Shred – I believe the legislature could take action as with any other area of law / regulation. I am concerned about GMOs and pesticides, etc. in our agricultural system but with Californians having a popular vote on the issue and turning it down perhaps the labeling requirements should be altered or otherwise revised to more clearly reflect the wishes of the electorate. SHRED, I think you’re on to something. Certainly, with a Democratic super-majority in the state legislature and a Democratic Governor, they can pass pretty much any legislation they want. The only thing Monsanto et al can do then is to take it to the CA Supreme Court. I’m not sure about the disposition of the Court in CA, but it certainly would be a rebuff to Monsanto and a victory for the Yes on 37 folks to have it passed into law by the legislature and signed by the Governor. It’s definitely a battle worth fighting. I find this result doubly disturbing as we find out that farmers are using unprecedented and unpredicted increases in hazardous pesticides to fight weeds and insects on (GMO) plants designed to resist those very adversaries, because genetically modified crop technologies are sparking an unexpected rise of “superweeds” and hard-to-kill insects. GMO aware – I completely agree, and we continue to see harsher chemicals developed (and approved for use) to deal with this sort of issue, as well as to more fully eliminate ‘pest’ animals, plants, and bugs from our monoculture-heavy agriculture model. Thanks for sharing your thoughts! Hello from Iowa, John! Good recommendations for avoiding GMOs. You might be interested in checking out the Non-GMO Project. They verify that products are non-GMO and have a searchable database of verified products. Will – thanks for reading and hello to you as well! I’m familiar with the Non-Gmo project (actually had a bottle of soy sauce with the label on it at lunch today and was talking with my fellow diners about it). Hadn’t been to their website and didn’t realize it had a database either, thanks for the heads up. Let me know if you’re ever in San Diego, would love to hear what’s going on in your life and get some gardening / cooking thoughts. Were California voters a victim of FRAUD?? I have started a petition with change.org to encourage the USDOJ to prosecute the No on Prop 37 Committee for fraudulently using the official FDA stamp (logo) and titles in advertising to deceive the voters in California voting on Prop 37 (label GMO’s in food). Change.org has had some amazing results! We can NOT allow or tolerate the blatant misuse of Federal Laws at the benefit of or detriment to anyone! 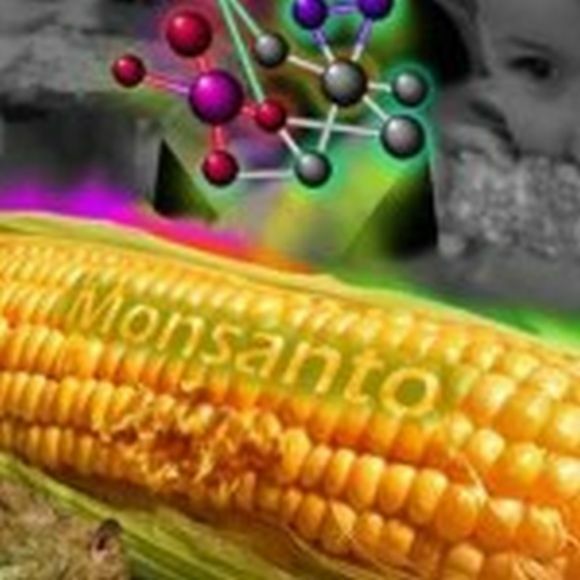 PLEASE SIGN so we can send a message to Monsanto and other corporations who use illegal and deceptive tactics! Please encourage others by sharing on facebook or blogs you may post to. Also, follow the links in the petition so you can see for yourself. Use the following link and sign the petition… THANK YOU!! Nice article! However, I did want to point out that the UPC code on veggies is not a valid way to find out if the food is GMO. 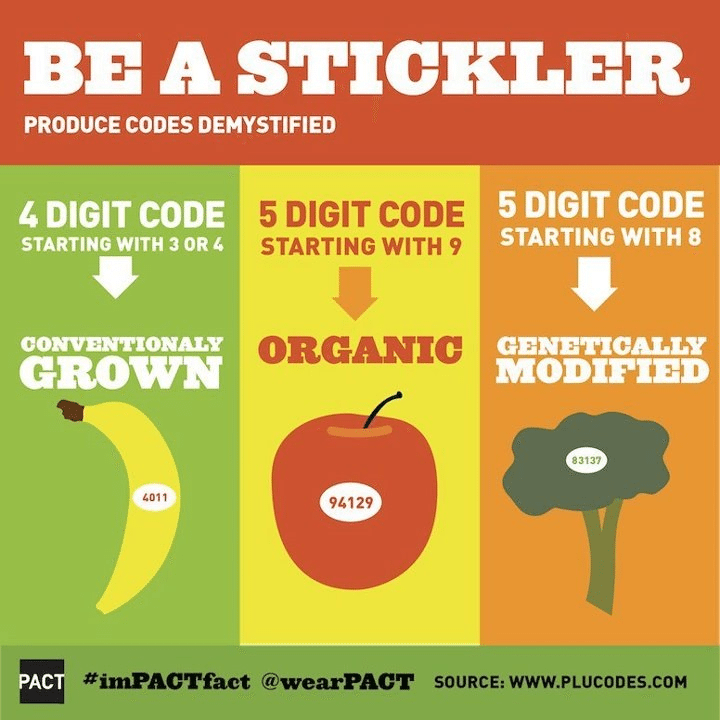 It’s optional to put an “8” on GMO produce, so no one ever does. However, if you pick a product with a “9” it is organic, which means it’s not GMO. Liz – thanks for the heads up. I wasn’t aware that using the codes is optional and definitely good to know. I’ll continue to stick with organic choices to be on the safe side.